A very special email landed in our inbox a few days ago. This is one of the most touching emails we've gotten from a customer. It is stories like this that reminds us why we do what we do. "Almost 10 yrs ago my father passed away. My mother could not take care of herself. My husband and I sold our house and added onto hers, since she didn't want to move. I tried everything to get her involved to no avail. One afternoon during the planning process, she came to me and handed me a Home Depot advertisement showing the stained glass Iris door. 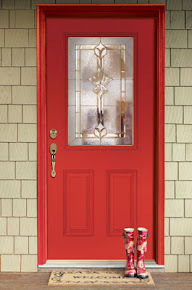 We made a few cutbacks (no hardwood flooring upstairs) so that we could get this door and its matching sidelights. The construction was completed before the door even came in. I must say – it was ALL worth it. 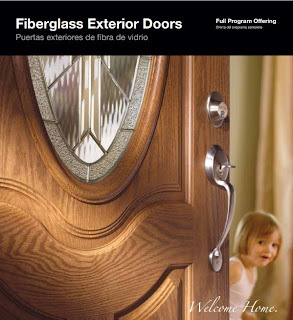 View our latest exterior door catalog for newly available styles in mahogany, smooth white and pre-paint options. 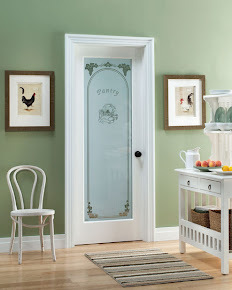 Use our door builders to view all of our glass designs and door styles.